Morrison cantilever rack provides the ultimate storage flexibility for long, bulky, awkwardly shaped products. Superior strength and stability coupled with multi-level storage and ease of re-configuration make cantilever rack a staple in the lumber, textile, furniture, building, piping and many other industries. 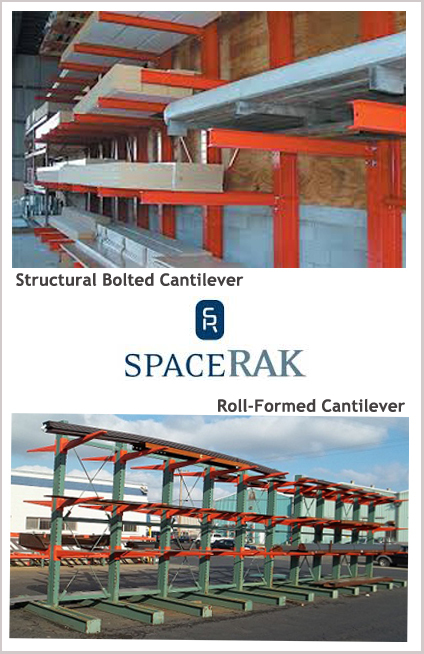 Our cantilever manufacturing partner, SpaceRAK, Inc. makes extremely durable, cantilever systems in structural and roll-formed steel; both offering simple assembly and flexible adjustment for product mix changes.